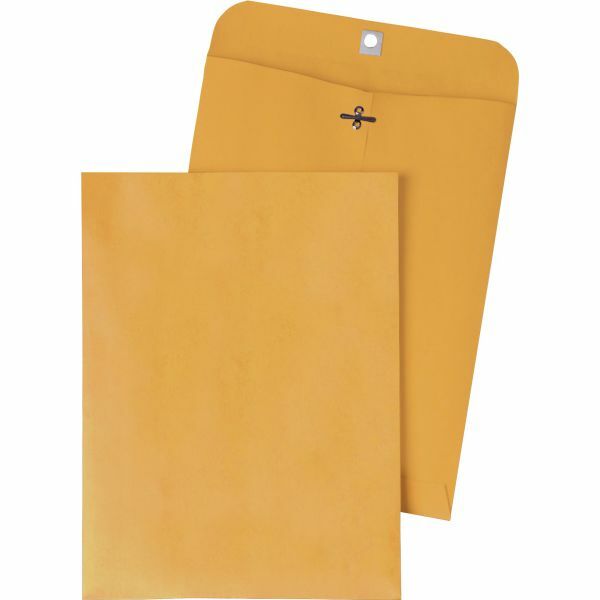 Quality Park Gummed 11 1/2" x 14 1/2" Clasp Envelopes - Rugged envelopes feature reinforced clasp design plus deep gumming on flaps for secure seal. Made of sturdy 28 lb. Kraft stock.